Pest description and damage The aphids tend to be small (.0625 to 0.125 inch long), oval to pear-shaped, soft-bodied insects with piercing-sucking mouthparts. 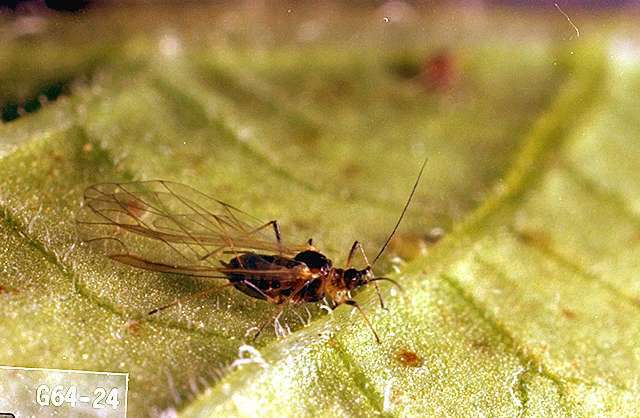 Color varies: bean aphid is a dull black gregarious aphid; green peach aphid is yellowish-green with dark lines; and the leaf curl plum aphid has both green and reddish forms. 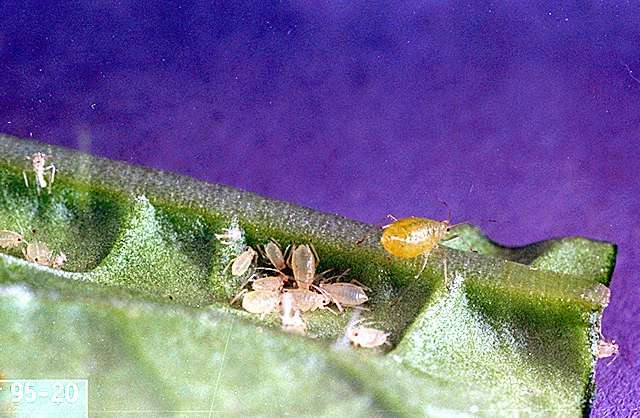 Aphids tend to feed in colonies and are often found on the most succulent plant tissues. Feeding damage is usually minor, but can compromise the vigor of the host if aphid populations are high. 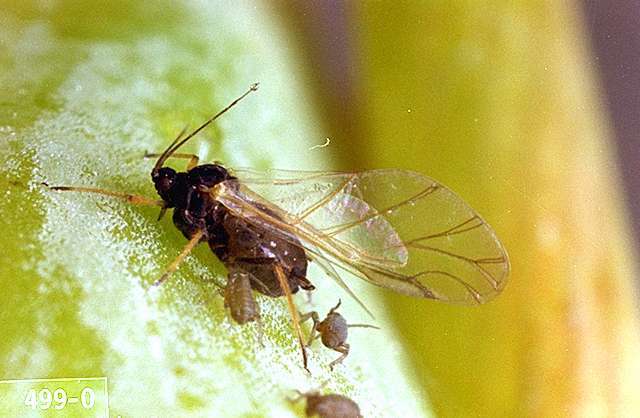 Aphids produce honeydew that encourages growth of a black sooty mold. 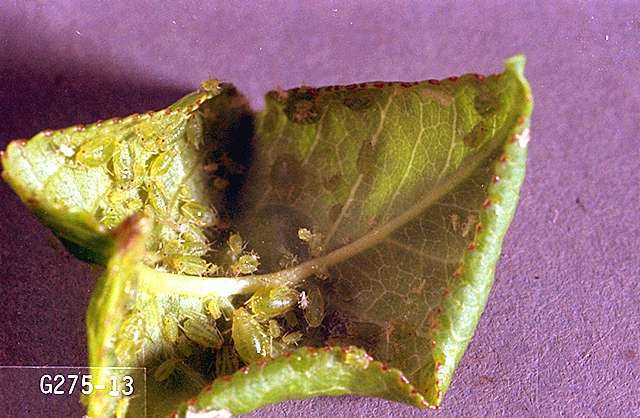 Some aphids, such as the green peach aphid, are vectors of plant diseases, particularly viruses. Damage ranges from yellowing and shriveling of leaves to severely and tightly curls leaves, or mottled yellowing of virus symptoms.